Mid-Week Mini: Field Notes End Papers: Initial Thoughts. The latest Field Notes quarterly release,End Papers, was another example of Field Notes pushing the boundaries of what they do with a pocket notebook. It seems like once a year Field Notes try something different with the quarterly release and this time we get a new size and the recurrence of the signature binding. 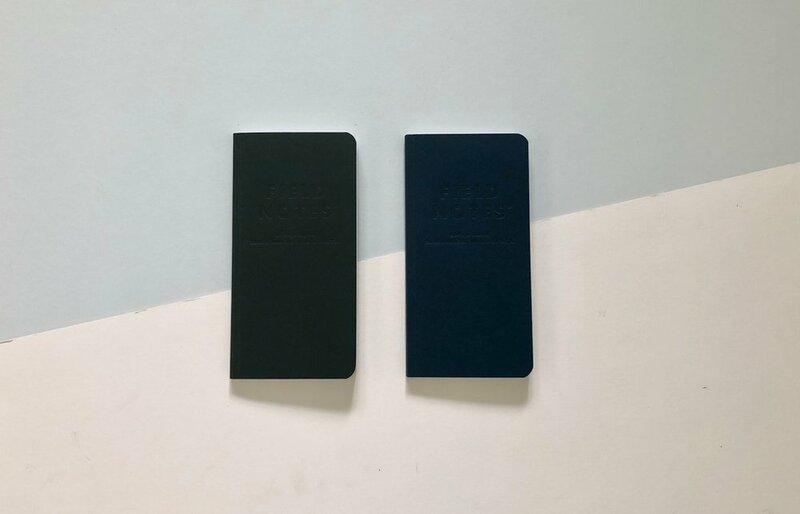 End Papers is a little taller than the Signature Field Notes but the same width as a normal standard Field Notes pocket notebook. This makes it a little odd in size. Let me explain what I mean. Signature binding feels too burdensome on a pocket notebook. With small notebooks I don’t like or think signature binding is needed. Staples are easier and makes the notebook easier to use. Pushing against signature binding to just be able to use it is not a challenge I really want. The size of this notebook feels strange. It feels too tall and slim and too bulky with the additional pages - 68 pages versus the 48 found in a standard Field Notes. Their is a mixed page rulings within this release, left hand page is blank and the right ruled. This mixed ruling makes me want to write on the right hand side and then leave the left unused. I don’t think a mixed ruling works within a pocket notebook, it feels like a waste of pages. 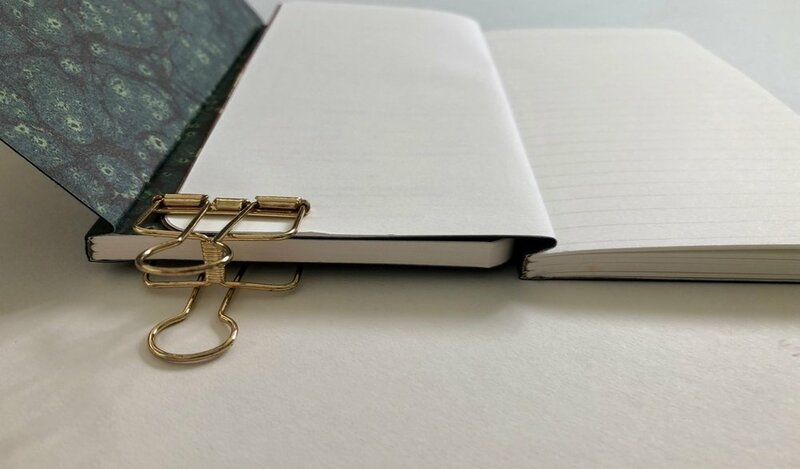 On an A5 sized notebook there could be an argument of why this is useful and how it could be used, but for me on a pocket notebook it doesn’t work. Switching to a little positivity within this release the design of the End Papers is classic and simple with dark covers and debossed logo on the cover. The marbled papers on the inside covers are pretty and I really liked seeing the process video that accompanied this release. The colours are a little muted, it would have been nice to have a little bit of colour. I like the combinations used on the Timber Green notebook the most. The signature binding makes me think of Write notepads and the more Field Notes use this binding on their notebooks the less inclined I am to use them. On the Field Note Signature series of notebooks the binding doesn’t inhibit how you use the notebook because of its larger size. With End Papers I don’t think this binding style works. I like that Field Notes try different things but this release isn’t for me. The marbling process was obviously the main goal with this release but I think it could have been implemented in lots of different, cool and impactful ways.